Who doesn’t love a party designed just for you? Girls night will be a fun filled event with a lot of games, a lot of laughing and of course…a lot of free food! 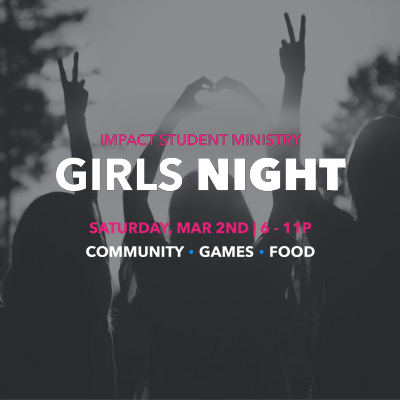 So get the whole squad together and head out to Impact’s Girls Night on Saturday, March 2nd. Girls rule. Boys drool.